For all of Miss Molly’s readers, you know I love my pups to the moon and back! They are part of the family and we want them to be with us at all times. Unfortunately, sometimes issues get in the way of our couch snuggling time or sleeping in bed with us. Just as with humans dogs can suffer from incontinence for various reasons. You may also have a need for dog diapers or belly bands with an injured/post-surgical dog, dogs in heat, spot marking, travel, etc. Dog Diapers and Belly Bands from Pet Parents can help control the mess and make our time with them more enjoyable! Pet Parents® dog diapers are washable diapers designed to prevent accidents from turning into messes. They feature a Fur-Safe adjustable hook & loop system and have a sewn-in multi-layer super-absorbent pad. They are leakproof with a waterproof exterior shell and tight-fitting leakproof elastic edges that provide a snug leak-proof fit. This means all the liquids stay in the pads where they belong and NOT on your couch or carpet. 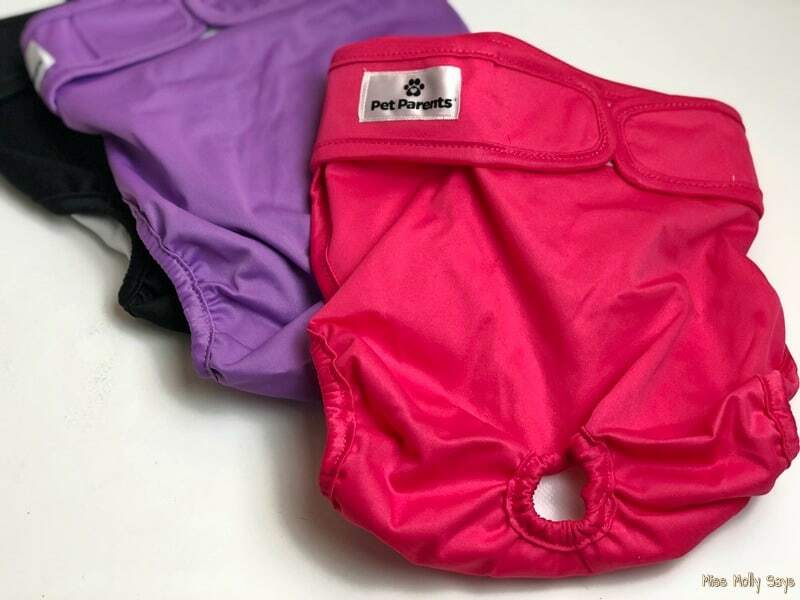 The dog diapers are soft, comfortable 100% polyester, easy to put and best of all – machine washable and dryable. 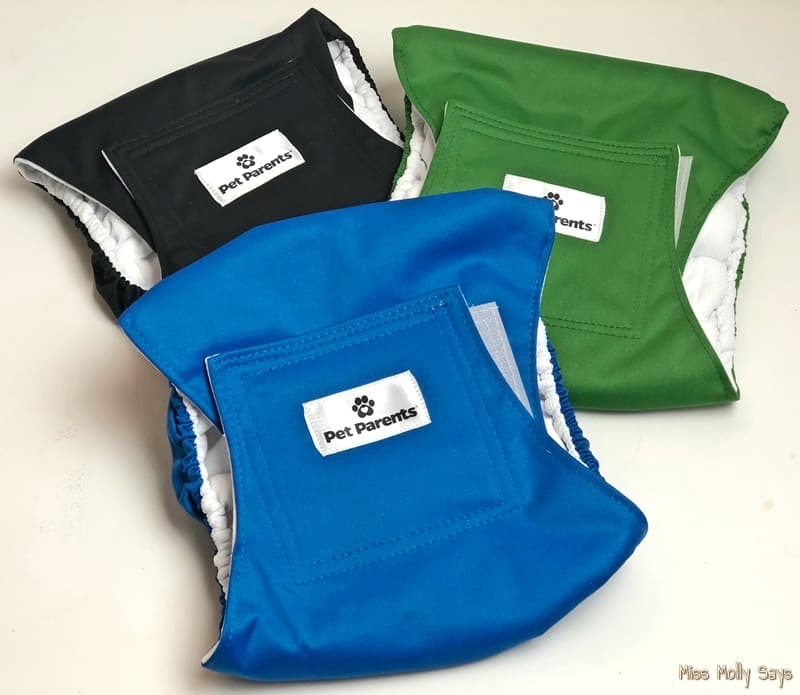 Pet Parents® belly bands are made of 100% polyester and come in a 3-pack with different color options. And, of course, they are machine washable. 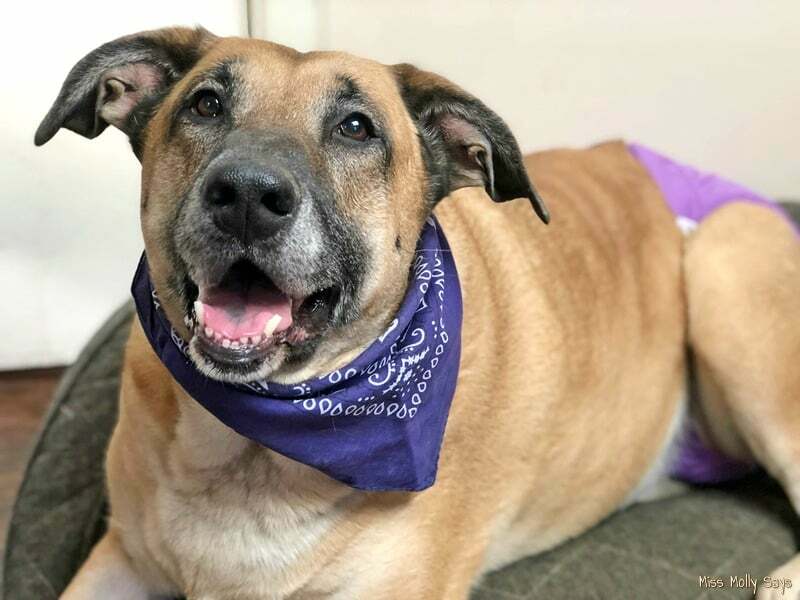 Belly Bands are super easy to put on and comfortable for your dog to wear. Pet Parents Dog Diapers OR Belly Bands! One winner will win a 3-pack of Dog Diapers. One winner will win a 3-pack of Belly Bands. Winner’s choice of size and color options. 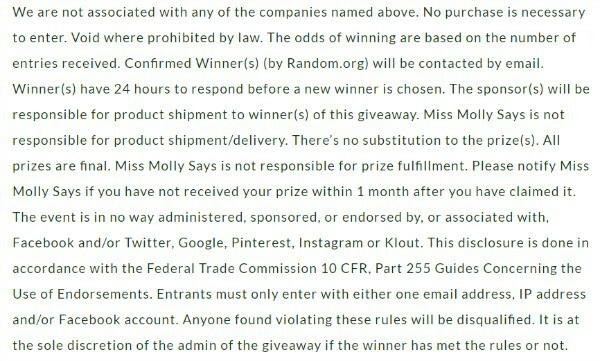 Giveaway ends 2/2/19 at 11:59 pm ET! Open to US residents 18+ and older. I would choose the dog diapers. I would choose the belly bands. I could use either one!! I would choose the dog diaper. I’d rather have the belly bands. I’d choose the belly bands for my pups! Love the doggie diapers! They look comfortable and cute! I”d choose the diapers, we have girls. I would probably choose the dog diaper. I already have several belly bands of different sizes. the dog diapers would be good. I would like to get the doggy diapers. My grandchildren absolutely love our cooI, Border Collie who could use the dog diapers. I have grandchildren that definitely like our amazing, Dalmation who needs help with the dog diapers. Definitely the diapers, I need them badly! My nieces and nephews really enjoy our marvelous Labrador Retriever that really needs the .belly bands. Our Field Spaniel is just wonderful for all of my grandchildren, but there is a need for the dog diapers. I have nieces and nephews that really like our fabulous Basset Hound that needs to have the belly bands. My many children really adore our awesome English Shepherd, and the belly bands would be very useful.